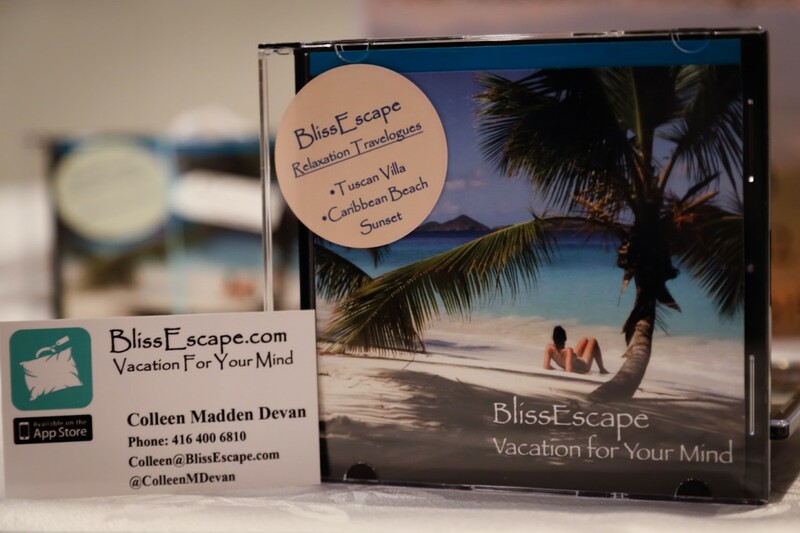 I met Colleen from BlissEscape at The Winter Holiday Sale and when she explained the product to me I immediately thought “what a great way to get away without breaking the bank”. BlissEscape is the world’s first guided audio relaxation travelogues. They take you through a guided meditation, allowing you to transcend to other parts of the world while creating a calm, peaceful environment within the comfort of your home. Head over to the website www.blissescape.com and check out Colleen herself in a video explaining more about the product. As mentioned in part 1 of this blog series of unique ideas what a great gift idea for bridesmaids and for the bride herself! After months of hard work and planning for the big day, take a break the week before the wedding and travel with your mind to the beautiful Mediterranean or even a Caribbean beach. You and your bridesmaids won’t regret it. You’ll feel refreshed and relaxed for the wedding day and even better you’ll look it too! This entry was posted in Bliss Escape, bridesmaid's gifts, Holiday Sale and tagged BlissEscape, gifts for bridesmaids, meditation, travel, unique ideas, vacation. Your wedding is likely the biggest, most complex party you will ever plan and host- at least mine was! Great idea, to use BlissEscape to escape to a beach or villa for a 10 or 20 minute break to escape from the endless details of planning and perfecting.